Top 10 Things People Think are Healthy, but Aren’t. From fad diets to crazy detoxes, it doesn’t take much to get the general public lapping up anything under the guise of health advice. Unfortunately, more often than not these do nothing but shrink the wallet – in fact, they can even end up doing more harm than good. Originating in Persia, a hookah is a multi-stemmed instrument for smoking a variety of flavoured tobacco called shisha. The smoke is passed through a water vapour before inhalation. Extremely popular in the Middle East, the hookah eventually took hold in the West. 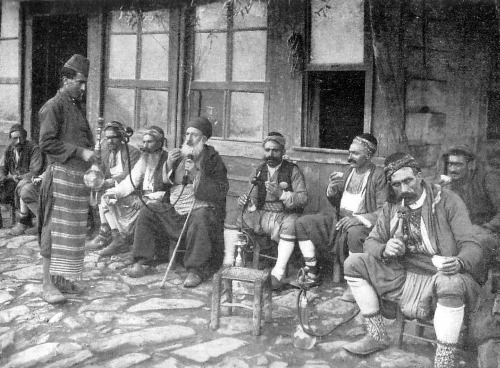 Many hookah dens opened up and smoking them became a sociable event with many users believing that it was a safer alternative to smoking cigarettes. However, a report by the World Health Organisation (WHO) has stated that smoking using a waterpipe poses a serious health risk. An average session can last up to an hour, during which a user will inhale between 100 and 200 times the amount of smoke from a regular cigarette. It is expected that long-term use still has the potential to lead to diseases commonly induced by tobacco. 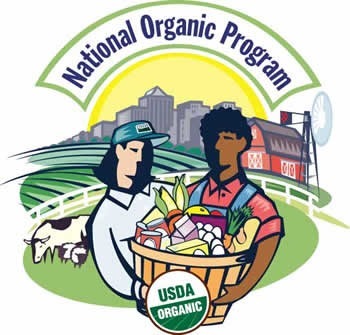 It’s not so much that organic is bad for you, but many people fail to understand that just because something is natural or organic does not make it better than a GMO alternative. It’s been proven again and again that GM food has no potential threat when consumed. In fact, it can even have beneficial properties not found in their organic counterpart. For example, after a WHO study found that nearly 500,000 children have a Vitamin A deficiency, a rice strain fortified with the vitamin was developed in the hope of battling the epidemic. Organic food runs a risk, albeit a small one, of an e.coli outbreak due to the use manure as a fertiliser. Also, just because something is branded as natural doesn’t necessarily mean it is healthy. Founded in 1980 by Mark Hughes, Herbalife is a multi-level marketing company AKA a pyramid scheme. The gist is to sell a range of nutritious products aimed at weight management. In 2014, the company posted an income of an astonishing $3.8 billion and has even sponsored sports teams like the Los Angeles Galaxy soccer team and player Cristiano Ronaldo. Unfortunately, it seems as though Herbalife might actually be bad for you. A laboratory test in 2008 found high concentrations of lead which exceeded the limits set by California Proposition 65. Following this, a lawsuit was brought forward on behalf of a woman who was suffering lead-related liver problems, allegedly caused from the several Herbalife supplements she was taking. Israel’s Health Minister also began an investigation into the supplements after four consumers suffered from liver problems. Hospitals in Spain, Switzerland, Iceland and Argentina all gave further instances of people admitted with liver damage. The patients all had one thing in common: Herbalife. We all know to eat our five fruit and veg a day, and many people choose to do this by drinking fruit juices. As you’d expect, these are beverages where the fruit or veg has been pressed into a liquid. They often do provide benefits – orange juice gives us vitamin C and prune juice is good for digestion. However, many people fail to realise that drinking the juice is not as good as consuming the fruit as a whole. As a result of the juicing process, most fruit juices have the dietary fiber filtered out. On top of this, most fruit juices often have a higher concentration of sugar than soda – grape juice contains nearly 50% more sugar than a glass of Coca-Cola. 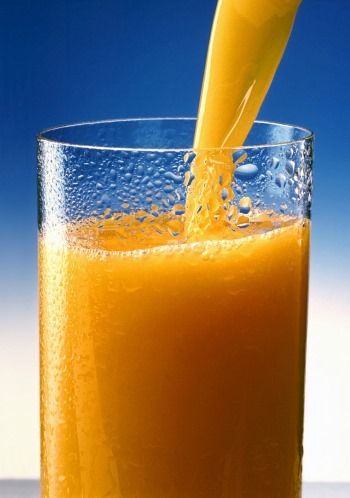 Frequent juice consumption can lead to dental decay due to its high acidity content. One study even said that juice poses more of a risk to widespread dental decay than candy does. A common misconception is that eating fat will make you fat. Thus, you need to stay away from foods containing fat. This is simply not true. Fat is actually good for you and around 30% of your daily food intake should come from it – fat foods are just more calorically dense. For example, a gram of fat contains around 9 calories whilst a gram of carbohydrates or protein contains approximately 4 calories. 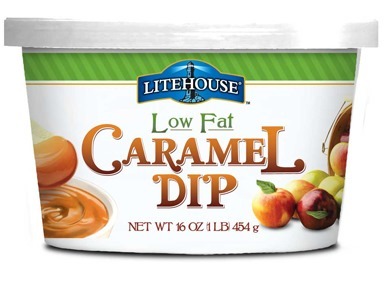 Fearing the dreaded fat, people have turned to low fat alternatives, believing them to be much more healthier. Unfortunately, in substituting fat they often use sugar. An overconsumption of sugar can easily lead to obesity and diabetes. It’s much more healthy to eat a balanced diet and look at nutrition labels rather than just assume all fat is bad. 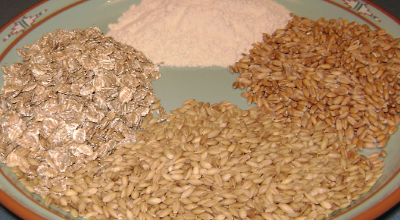 Gluten is a protein found in wheat and related grains. It gives elasticity to the dough by helping it rise and keep its shape, whilst also giving a chewy texture. Unfortunately, in individuals with coeliac disease, consumption of gluten can lead to abdominal bloating, gas, diarrhea and vomiting. As a result, they are told to avoid products containing gluten. However, it is estimated that less than 1% of people have a gluten sensitivity. This hasn’t stopped gluten free diets becoming the new fad. Unfortunately, this itself bears several health risks according to studies. Following a gluten free diet when you don’t need to can lead to a decrease in the healthy gut bacteria. Furthermore, a lot of gluten free food is often not fortified with the essential minerals, possibly causing deficiencies in iron, calcium, thiamine and folate. One good thing has came from this fad – those with actual gluten sensitives have had a lot more flavoursome products available in recent years. Antibiotics was perhaps one of the biggest medical discoveries of all time. It revolutionised the medical industry and, along with vaccinations, has led to the near eradication of diseases like tuberculosis in the developed world. What many people don’t realise is that antibiotics are not a miracle drug. 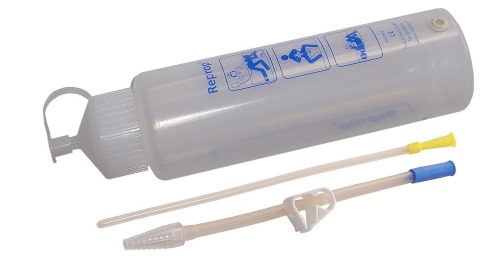 They are only to be used against the treatment of bacterial infections and not viruses, such as the flu. 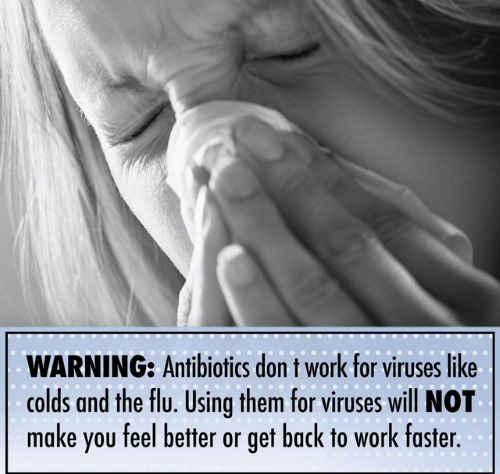 When prescribed antibiotics, the user should consume them for the full course and not stop when they feel better – something a lot of people fail to do. Along with their overuse, bacteria have become more resistant to antibiotics, meaning they are becoming less and less useful. WHO has classified antimicrobial resistance as a serious threat that is happening right now. Another hot at the moment diet is the use of detoxes to cleanse your body of toxins – a job your liver is more than capable of. One detox diet makes claims that you can lose unwanted body weight by simply drinking a concoction of lemon juice, maple syrup, cayenne pepper, salt water and laxative for 10 days. These starvation diets may aid in a liquid weight loss, but they are completely unhealthy. Long-term use of them can lead to muscle break down, a shortage of vital nutrients and can actually weaken the body’s immune system to fight infections. As crash diets can cause huge spikes in blood sugar, they are not recommended for people with diabetes, heart or kidney disease or women who are pregnant. Many medical experts assure us that our body can cleanse our intestines just fine on their own and these diets actually cause the loss of good bacteria. In May 1996, Energy Brands released their take on flavoured water – Vitaminwater. Available in a variety of flavours, they each come boosted with vitamins and supplements ranging from A and B to zinc and even calcium. The packaging boasts the caption a ‘vitamin and mineral enhanced beverage’. After expanding to international markets in 2008 (beginning with the UK and France), the company saw an income of over $350 million and was quickly bought out by the Coca-Cola company. Many people have been led to believe that Vitaminwater is a healthy alternative to drinking soda and even tap water. However, this isn’t quite the case. A consumer group has launched a class action lawsuit against the company because the drinks contain on average 33 grams of sugar – about the same as a can of soda. The lawsuit claims that this amount in Vitaminwater does more damage to the body – including the increased risk of obesity and diabetes – than the small amount of benefit the vitamins have. Even Coca-Cola doesn’t believe it’s healthy. The company responded to the lawsuit by saying “no consumer could reasonably be misled into thinking Vitaminwater is a healthy beverage”. Put simply, alternative medicine is any practice that offers a healing effect of medicine without having any scientific evidence to back it up. 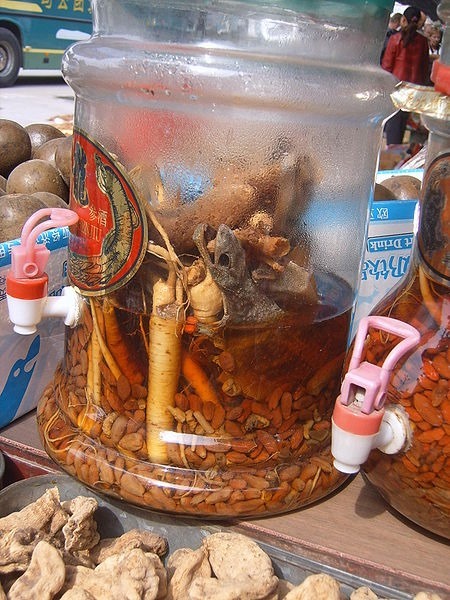 Many people who shun traditional medicine believe they are using healthier, natural alternatives with the same benefits. However, this is typically not the case. Perhaps the most famous person who used alternative medicine was Steve Jobs, former head of Apple. Jobs was diagnosed with a form of pancreatic cancer that was operable and treatable. However, he turned instead to alternative medicine and began a regime of acupuncture, a vegan and fruit diet, juice diets, bowel cleanses, herbal remedies, pills he found online and even consulted a psychic. All unproven, none of them worked and he finally turned to surgery. Then he died. Ashton Kutcher portrayed Jobs in a 2013 biopic and, to prepare for his role, he stuck to Job’s diet and regime for a month. He was soon hospitalised thanks to a spike in his insulin levels and his own pancreas became damaged. As comedian Tim Minchin has joked – do you know what they call alternative medicine that works? Medicine!